In memory of Miss Elizabeth Heelis who died in 1865. 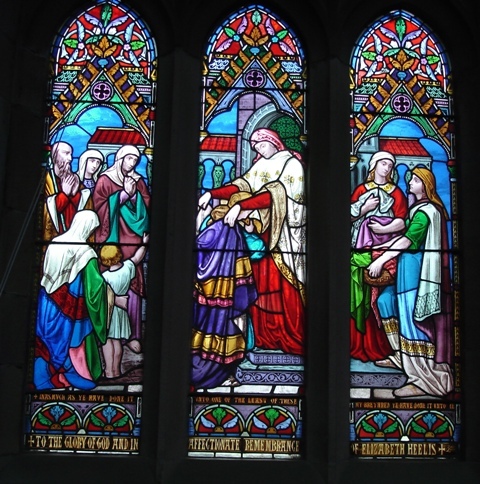 This is sometimes called the 'Dorcas Window' because it shows a woman named Tabitha ("her name in Greek is Dorcas, meaning a deer"), who lived in Joppa and made clothes, and did much charitable work among the poor. Acts Chapter 9, verses 36-43. She is also commemorated in the Sunday School window in the South Aisle.